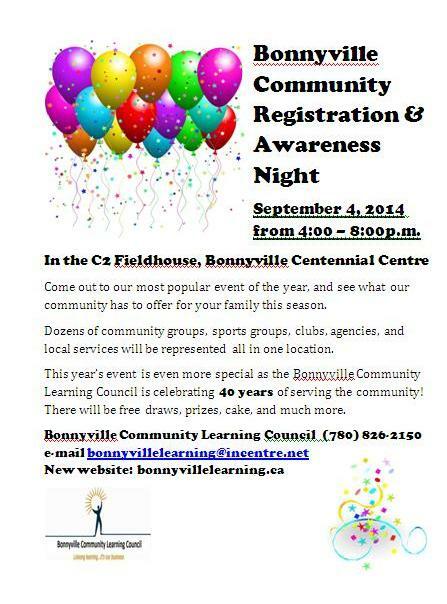 Mark your calendars for THURSDAY SEPTEMBER 4, 2014 for the Bonnyville Community Awareness and Registration Night, from 4-8pm. As always, this huge event at the C2 is a great way to find out what is being offered in our community and sign up for a multitude of activities. Plan to attend this popular, free event. If you would like to book a table please contact our office at 780-826-2150. Table rental fees: $20/table if paid by June 25’14, $30/table after June 25’14, last date to book a table is September 2, 2014. Wednesday April 9, 2014, 1-4pm. Do I need a will? If so, do I need a lawyer to write a will? Do I need a Power of Attorney and Personal Directive? Attend this free public legal education seminar to find the answers. An experienced lawyer will be presenting, and there will be opportunity to get answers to your estate planning questions. This seminar is FREE but you must CALL to REGISTER by April 7, 2014. 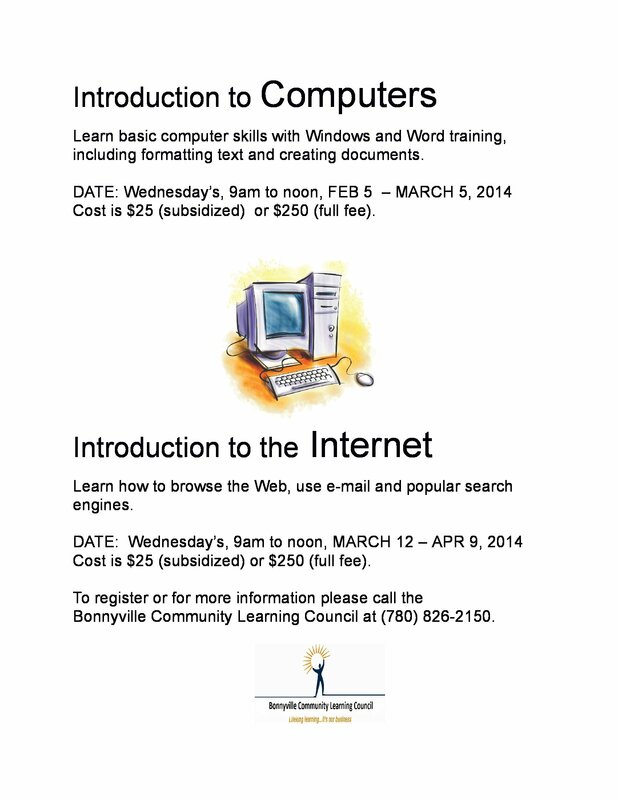 Call the Bonnyville Community Learning Council at 780-826-2150 to register. Sponsored by Portage College Public Legal Education, the AB Brain Injury Network, and the Bonnyville Community Learning Council. Saturday April 5, 2014, doors open at 9am. St. Lois Parish Hall in Bonnyville. Tickets $35 in advance or $40 at the door. Guest speakers, trade show and vendors, silent auction, goodie bags, and lunch is provided! To register call Charlene at 780-826-3240 or Alyssa at 780-826-7260. 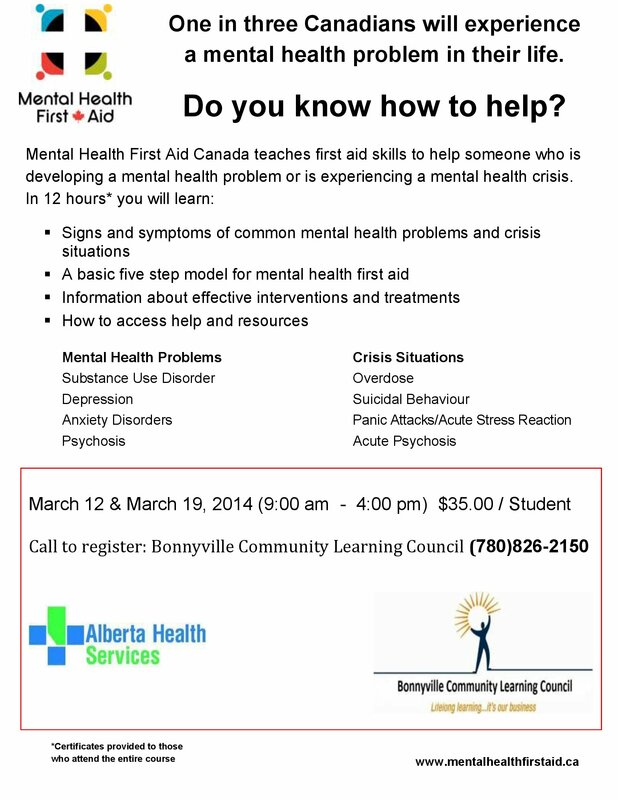 Brought to you by the Bonnyville Ag Society, L.A.R.A., and the Bonnyville Community Learning Council. Tuesday and Thursday evenings from 7-9pm, March 11 to May 1, 2014. Practice speaking and understanding English. Improve basic reading, writing, and grammar while learning essential English skills. Cost is $100. To register call 780-826-2150. February 27, 2014. The Wages at Work Workshop provides a comprehensive understanding of the rights and responsibilities of employers and employees under the Employment Standards Code. Put on in partnership with Community Futures, Alberta Human Services, Bonnyville Chamber of Commerce, and the Bonnyville Community Learning Council.